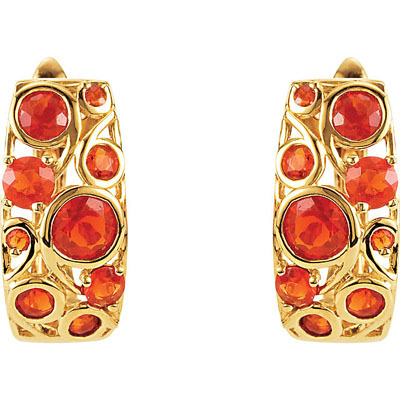 Bold and Lively .94ct Mexican Fire Opal Studded Huggies Style 14k Yellow Gold Earrings for SALE - 18 Bright Mexican Fire Opal Gems Sized 1.5-4mm These Are Not Your Grandmother's Huggies Earrings! 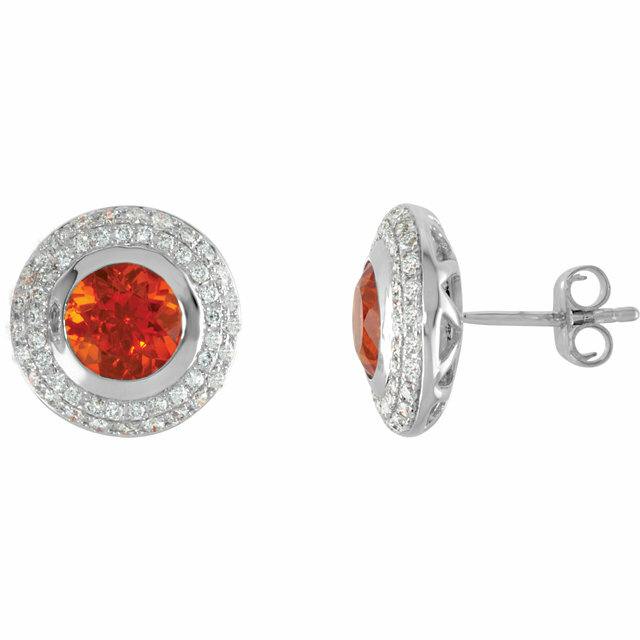 A Unique Swirling Design of Mexican Fire Opal Gemstones, Some Set With Prongs and Some in a Bezel Set Style, Add a Bold and Bright Beauty To these Fabulous Earrings. 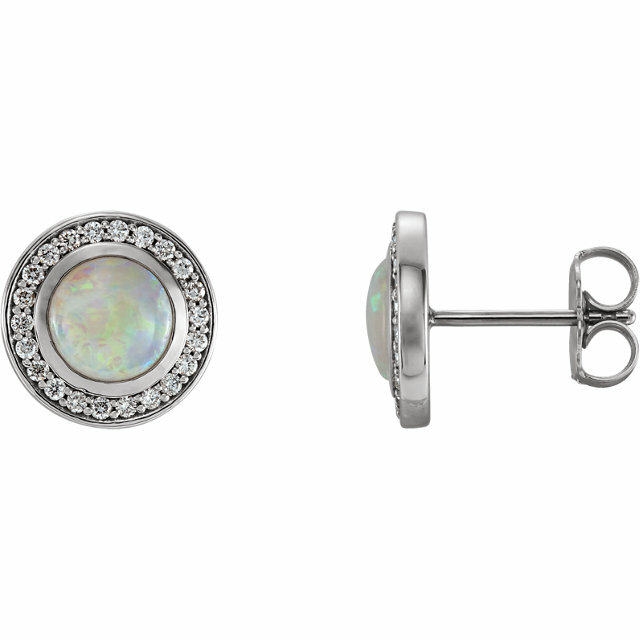 When one tries to think of the most fitting descriptive words to express the beauty of Opals, the mind goes blank. 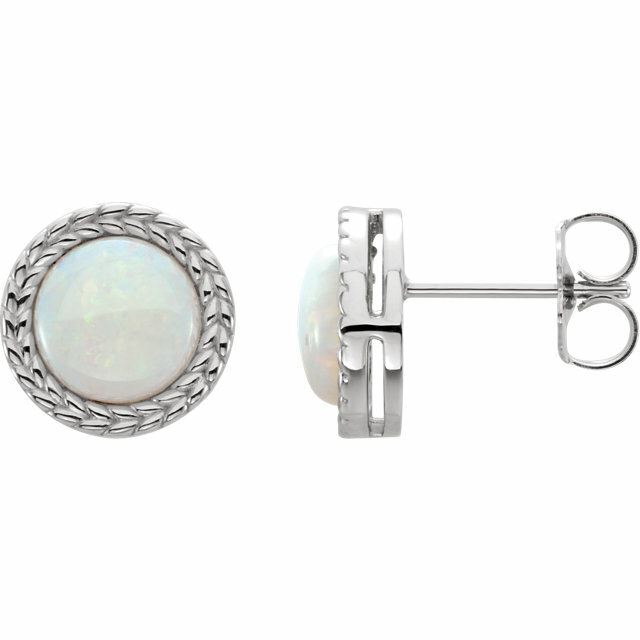 There is something indescribable and other-worldly about these stunning white gemstones whose face contains the entire rainbow shimmering within. 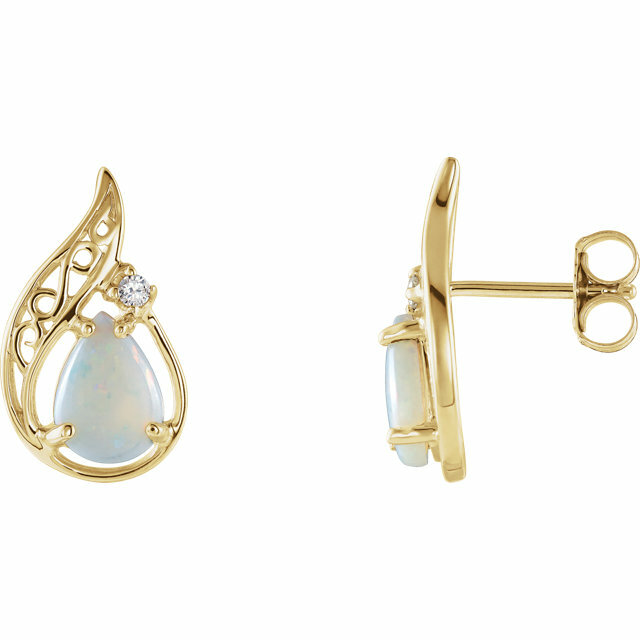 When these heavenly Opals are set in the most stylish 14 karat white gold and yellow gold settings the results are earrings that are simply mind blowing. 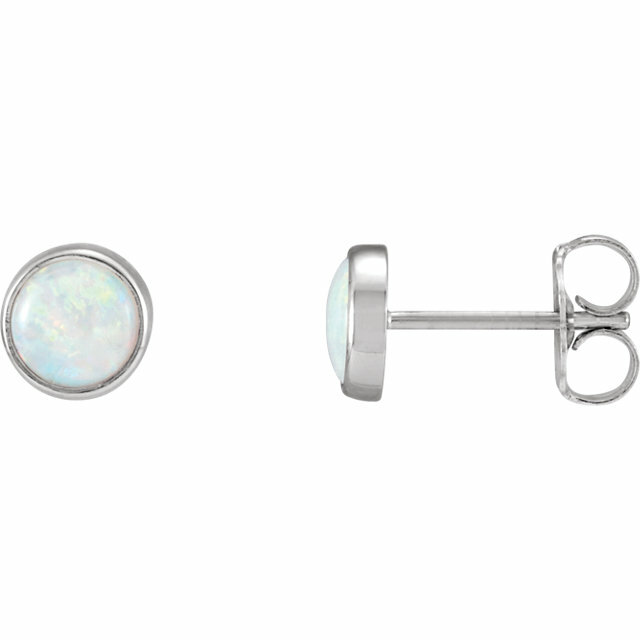 Therefore we are proud and excited to present our new collection of Opal earrings. 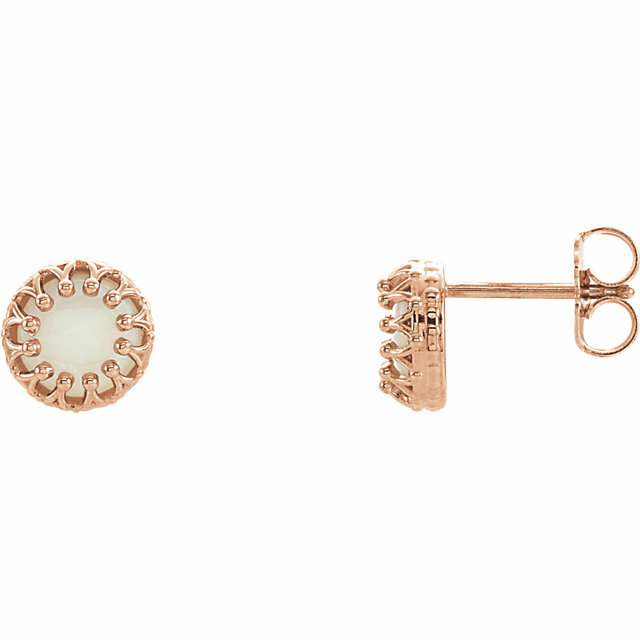 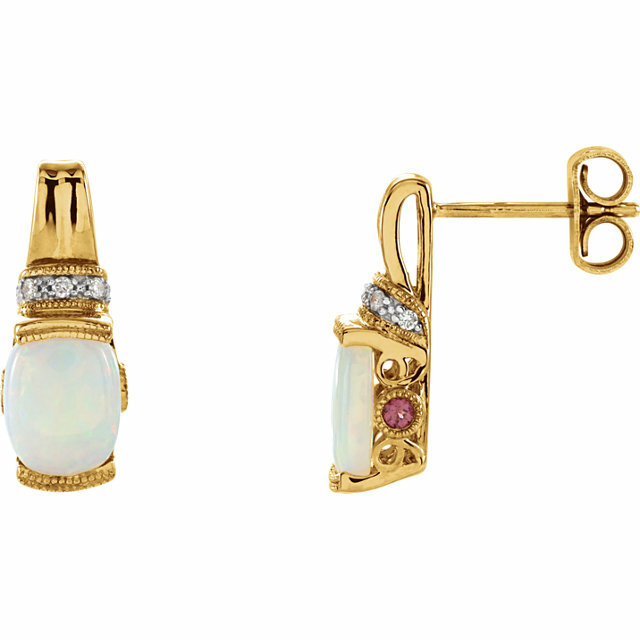 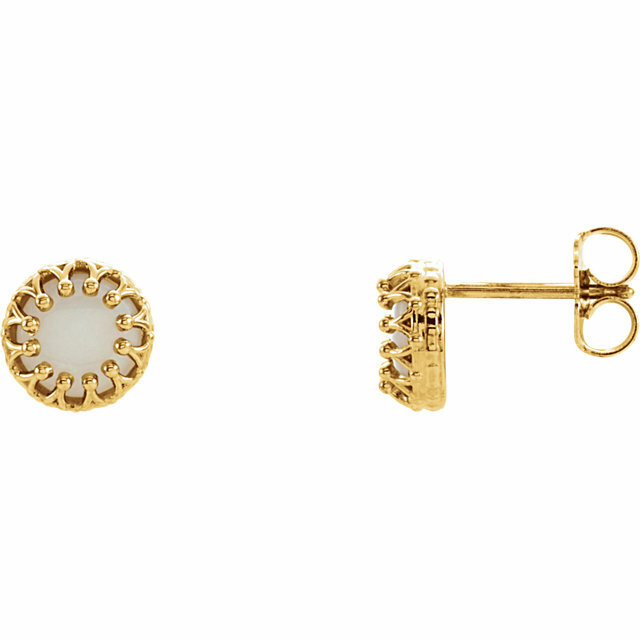 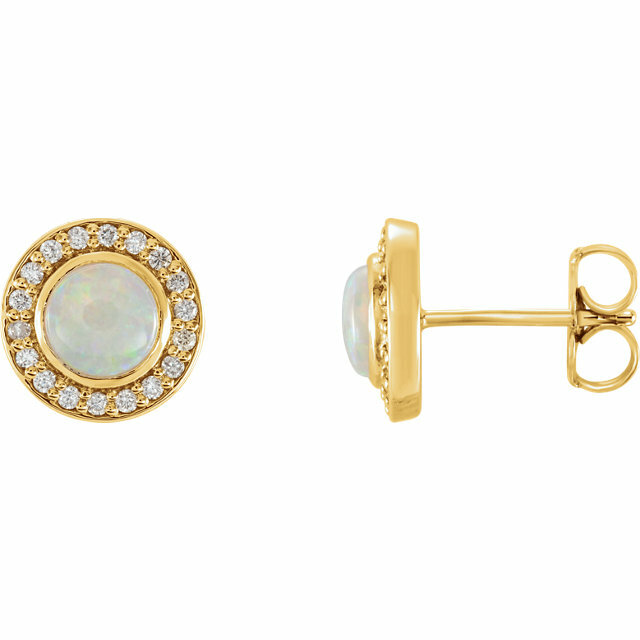 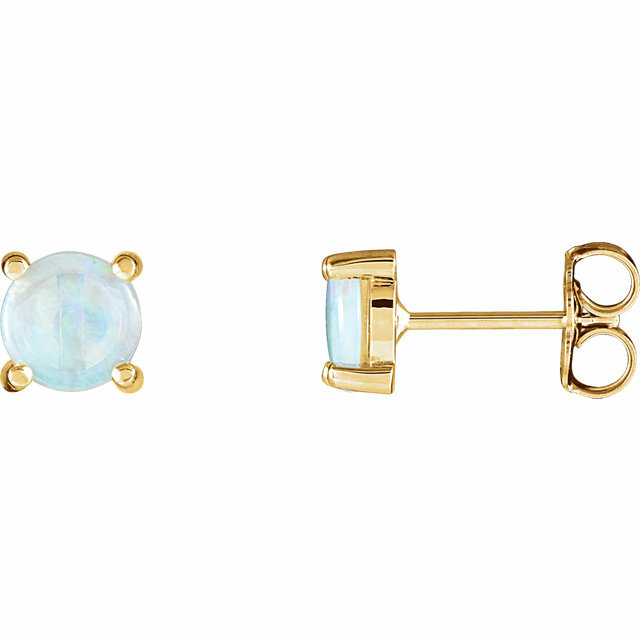 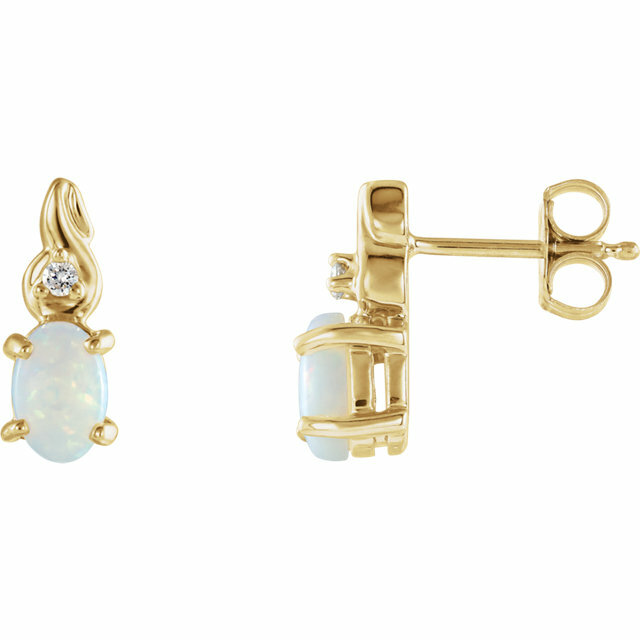 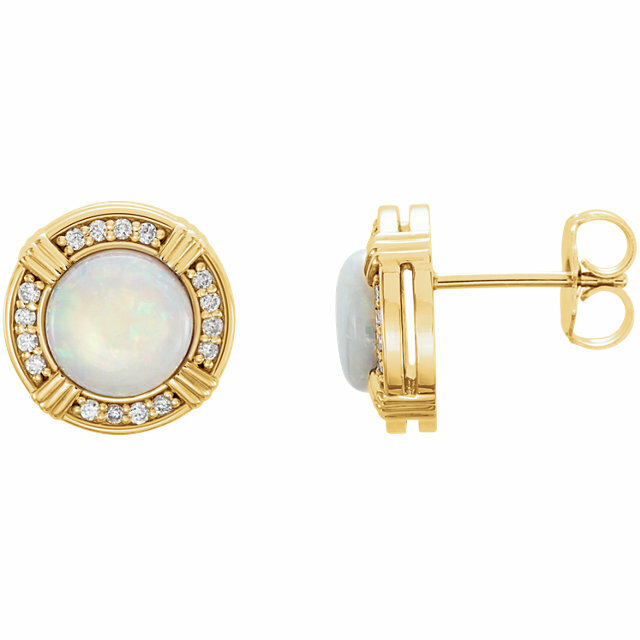 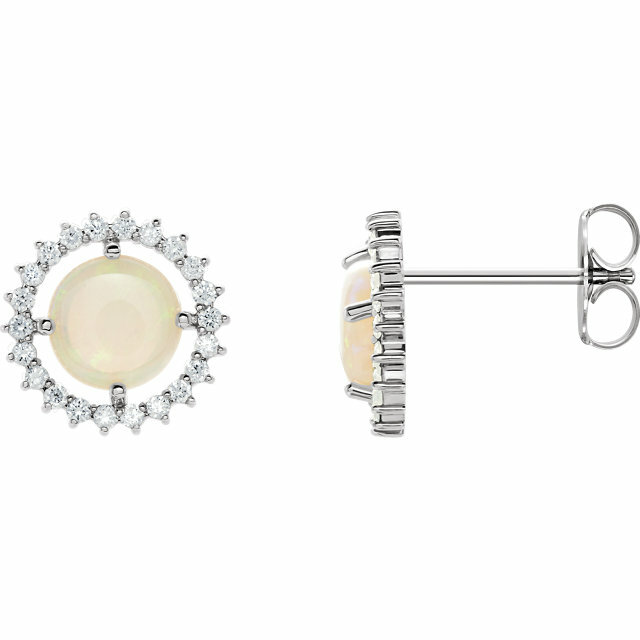 All of the white Opals are set in modest stud settings for a demure pair of everyday earrings that matches everything. 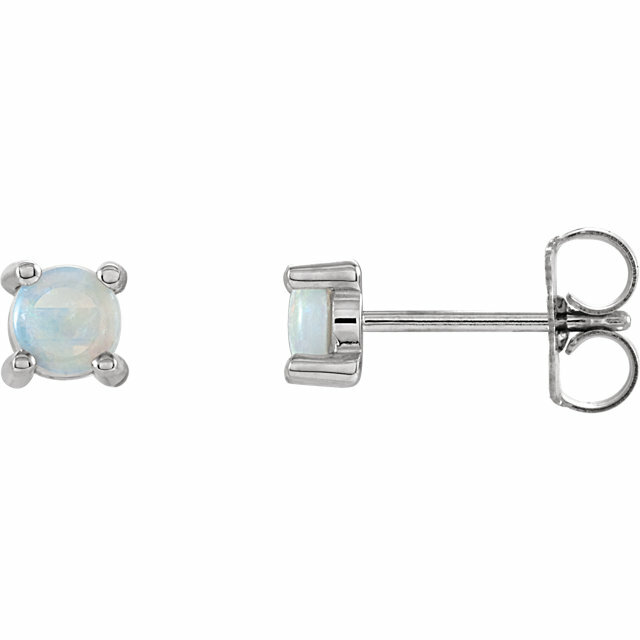 We also carry Pink Opals set in tear-drop briolettes and some unique earrings with the orange Mexican Fire Opals. 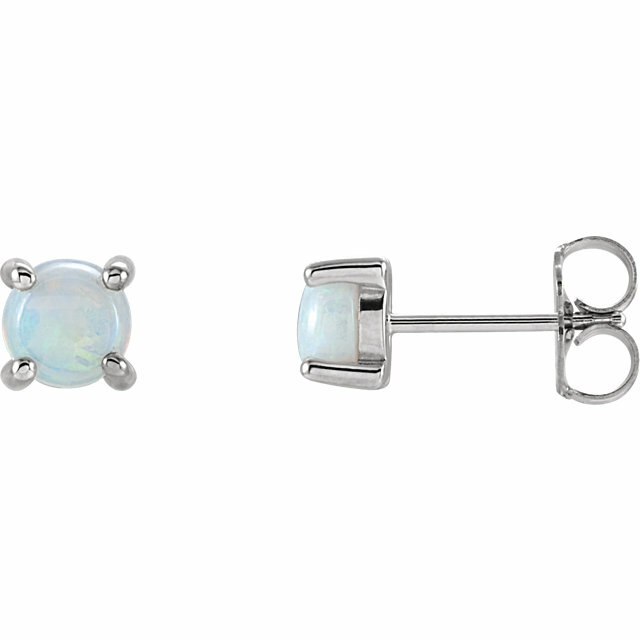 Shop now for your favorite pair of Opal gemstone earrings. Two of the standout pieces in our Opal Earrings collection are the Mexican Opal Earrings. 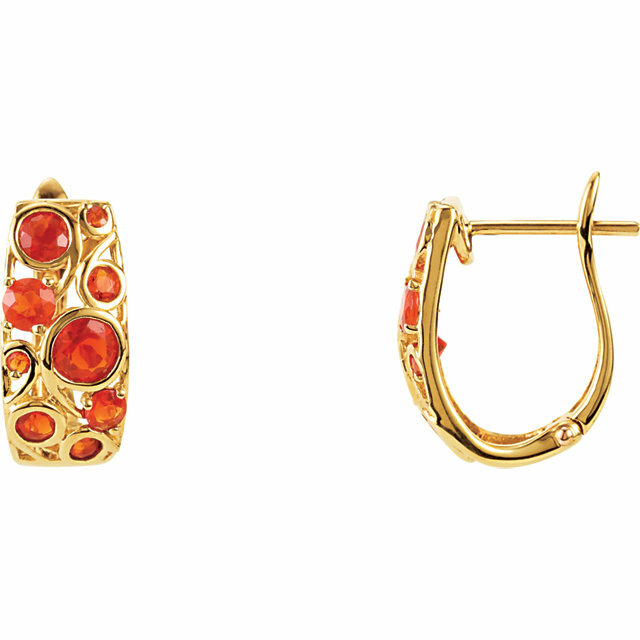 Mexican Fire Opal is one of the boldest and brightest gemstones you can find, displaying a rich color-pop of vivid orange. 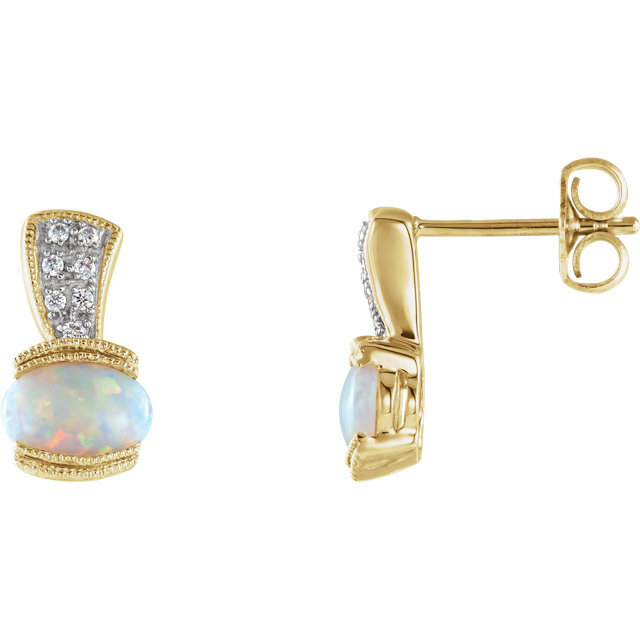 We are obsessed with the 14 karat yellow gold starfish with a vibrant Mexican Fire Opal displayed in the middle. 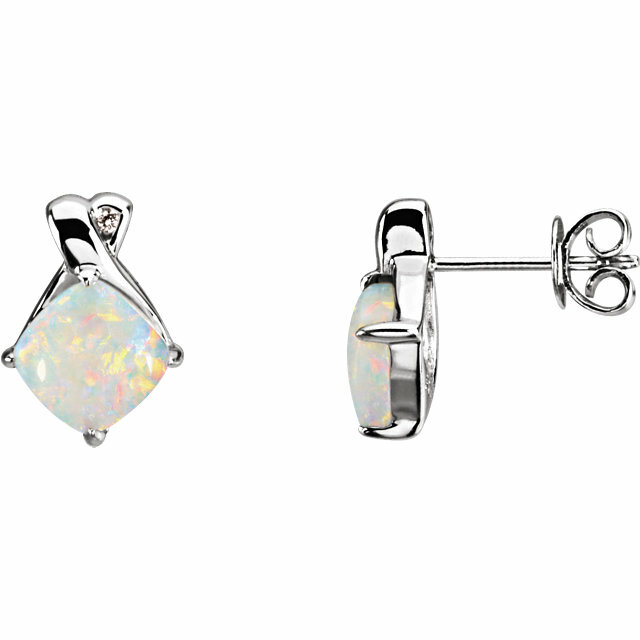 Everyone is going mad over the long and dangling Mexican Fire Opal earrings studded with diamonds all around; these amazing earrings have a matching pendant too! 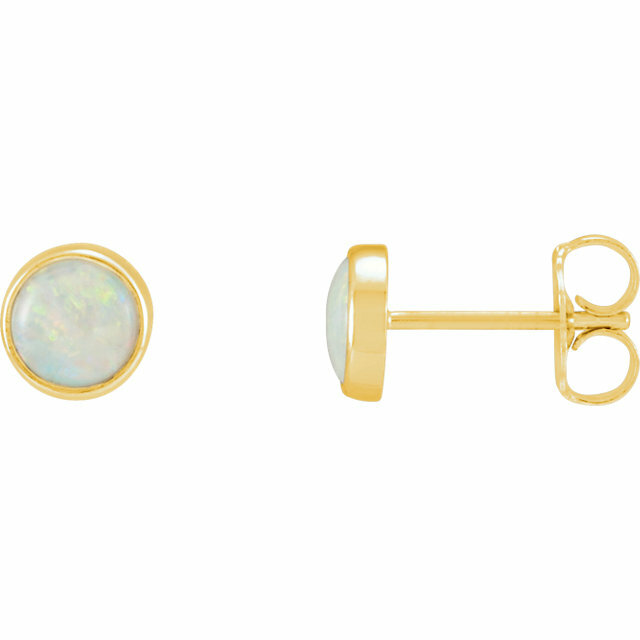 In fact a bunch of these Opal Earrings come with matching jewelry. 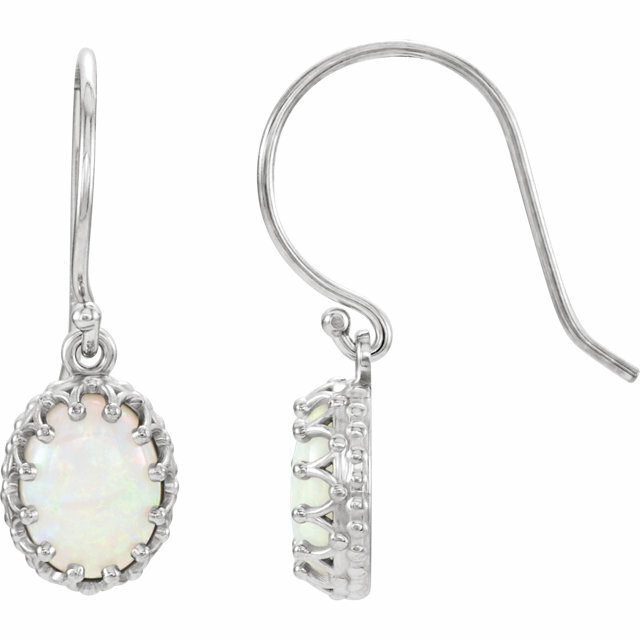 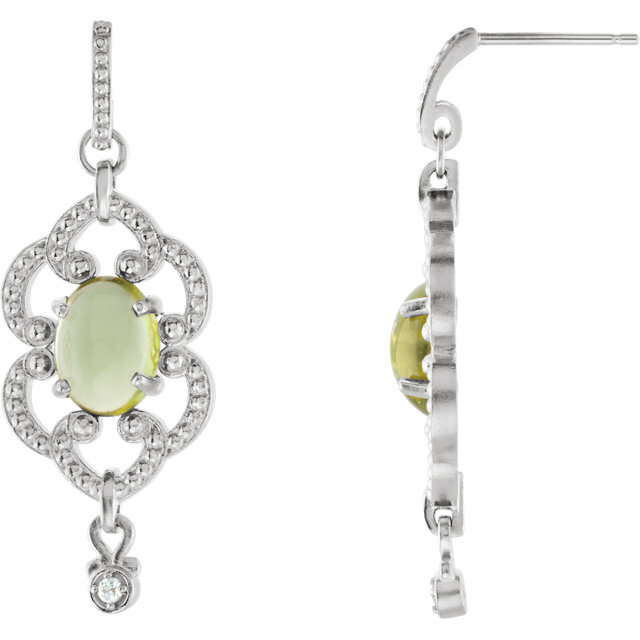 Don�t forget that Opal Earrings make great gifts.